I will review a number of new spectral sensors developed at CSIRO for water quality monitoring, crop and pasture mapping, and grape quality. These sensors were developed with the aim of making affordable spectral sensing for the agriculture industry and for research groups. 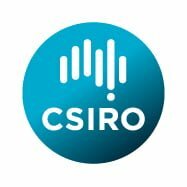 Recently CSIRO has been drawn into a rapidly developing effort in Australia to build up a space industry. CSIRO has begun construction of our first satellite, which will be a hyperspectral infrared imager, potentially capable of mapping soil moisture, canopy water content, and ground cover. I will present an update on our progress in the construction of our first satellite and on our planning for future satellite missions, which will be strongly oriented toward agricultural applications that affect Australia. I am a senior scientist in the Optical Systems Team. We develop optical devices for monitoring of agricultural crops, lakes and rivers, along with many other applications. I have worked as an experimental physicist for over 20 years, studying atomic interactions at extremely low temperatures using laser cooling. I did my Ph.D. at University of Connecticut, and worked in research at NIST (National Institute of Standards and Technology, Maryland), the University of Amsterdam, Penn State University, and University of Sydney. We studied fundamental aspects of atomic physics, quantum mechanics, and precision measurements using atomic clocks. I also taught physics and astronomy to high school and college students, and managed a public astronomical observatory. Since working at CSIRO, I have been moving from the laboratory into the natural environment. I work with ecologists, agricultural researchers, computer scientists, and companies to bring optical systems into the landscape to understand how plants, animals, water, and the landscape change over time.